So your internet's so slow that downloads have to be measured on a calendar. How do you check the speed and what does it all mean? It's simpler than you might think. Then hit 'run speed test' and simply watch as it runs a check on your current speed. 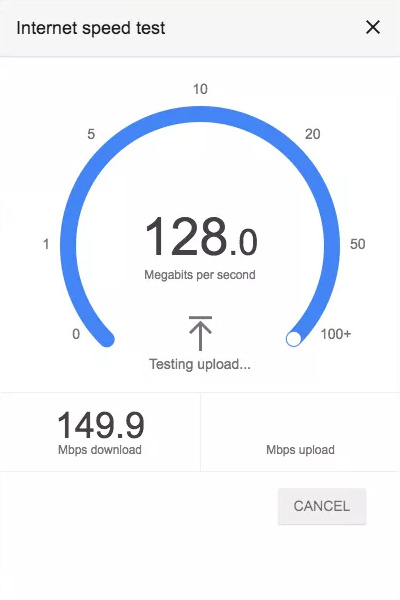 This is the speed that data can get from servers and the internet down to your computer - this is the most important of the details and generally considered to be your "speed". It's generally measured in megabits per second. The opposite; this refers to your network sending information out to another server or the internet in general. For a lot of our clients, uploading images to the cloud are their most heavy-duty uploads. Ping measures the round trip of your signal from your computer, to a server and then back again; it's how well your signal is letting your devices talk to others over the internet. This is most commonly displayed in online video games where your connection with the server is important enough for the game to explicitly tell you how it's trending. Bandwidth (or speed) is measured in bits, and space is measured in bytes. One megabit per second (Mbps) is 1million bits a minute. So what does this mean? What's important to remember is that we generally measure internet speed in megabits per second. We at Switchnode believe that the lowest acceptable minimum target is 10mbps; any less than that and many technologies will not function at all. If you'd like to know what operates at what speeds, see our blog post downloads-per-hour. Be prepared with your current speed when our integration experts stop by to better understand just how much wireless internet can improve your current setup. Make sure to contact us if we can help you out with a speedy wireless broadband connection.